Riverdale‘s first season was released on January 26, 2017, and the second just premiered this week. 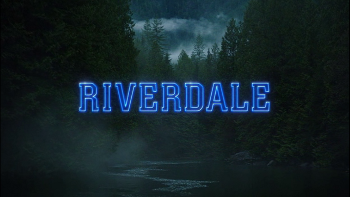 Riverdale is a show about an idyllic town that was overcome by controversies and secrets when a teenage resident, Jason Blossom, is killed. Reason #1: Its trending and a popular show among teens, even adults. Riverdale is perfect for anyone that loves drama, mystery, and crime. Each episode will leave you suspense, will make you want to keep watching for more, and find out the deepest of secrets the town would have never thought of having. Reason #2: The guy the girls drool after, even a teacher. That one boy most girls want a chance with. Archie, known as Arch is “that one boy” on this TV series. Archie is a tall, muscular teenage boy with pale skin, a cute smile, messy red hair, and brown eyes. He is a student at Riverdale, he is a musician, a football player, and low key has a thing for a specific cougar. Reason #3: The cast is pretty great. Basically, the cast is very attractive. Each of them have a unique personality that fits their looks. You may even relate to some of the casts’ situations they go through on this show, and see how they handle it. Romance! Ah, what typical high school does not have romance? Betty and Jughead are #goals. They stick by each other through thick and thin, remaining loyal to one another despite of each other’s past and current situations. Season 1 is on Netflix, and Season 2 premiers on CW, October 11th, 2017 in the US. Could not agree more with ANY article! Absolutely love the show! Great job!!!!!!!!!! OMG I so agree that this is the best show I’ve every watched!!! Awesome Job!! !